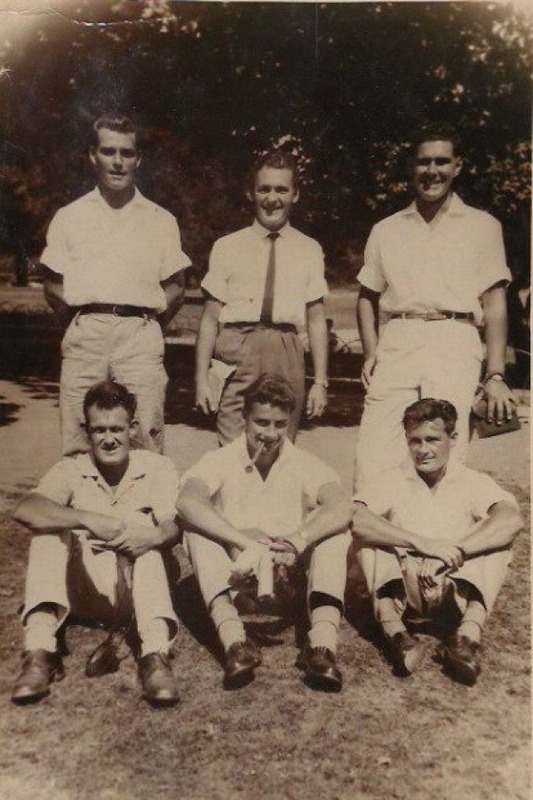 In 1956, I was amongst the final age-group to be liable for compulsory National Service in the British armed forces. 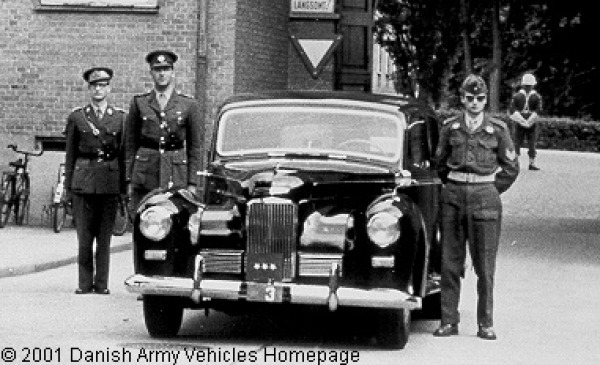 However, I decided to enlist for three years and, since driving had always been an ambition of mine and my father had refused to teach me how to drive, I elected to become a driver with the Royal Army Service Corps - just as (during WW2) he had done - before accepting a commission (my father - not me) with the Pioneer Corps . He's shown above (wearing glasses in the centre of the front row) with a company of Spanish volunteers he commanded in various parts of northern Europe and north and west Africa. Heaven knows where the little girl came from. For my part, little more than a dozen years later, after basic and NCO training in Aldershot (I'm in the middle of the back row below) and driver training in Yeovil, I was despatched to 12 Coy. RASC at The Dale in Chester. Did I say posting? Looks more like posing to me and it does seem that my arms in the right-hand photo are positioned in such a way that attention is drawn to the recently aquired chevron on my sleeves. Anyway, the vehicle on the left is a WW2 Austin J4 and the other, although it looks like a Commer, is actually a Fordson. Two WW2, Austin K2 ambulances. 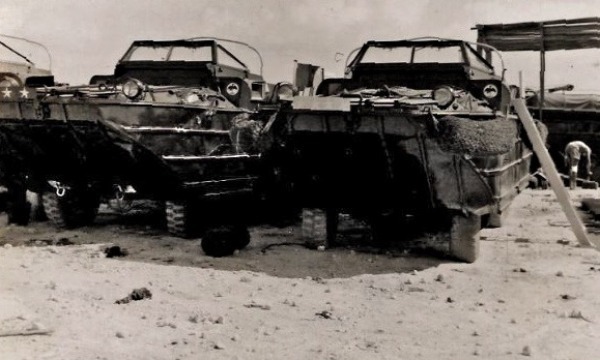 The one on the right is painted in desert camouflage and a similar one featured in the film, Ice Cold in Alex. This is the type of vehicle in which I took my Class 1 driving test. Humber Super Snipe staff car. 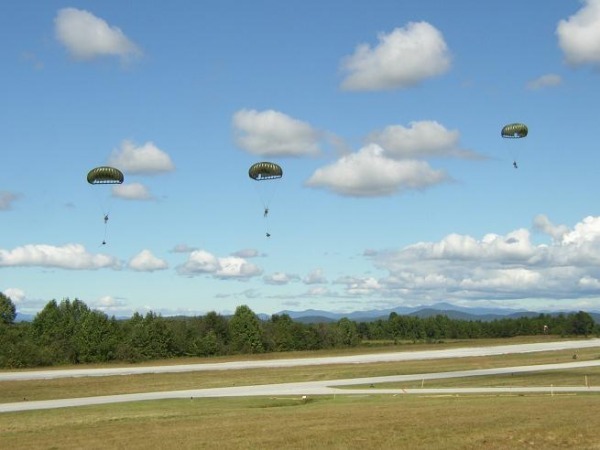 In 1957, in, over, and around the Aldershot area, I was one of a small number (of those who had started) who completed a grueling, ten-day, course with The Parachute Regiment before being transferred to an RAF base near Oxford. Unfortunately, however, after I had completed a single descent from a tethered balloon, the powers-that-be decided that they didn't much care for my 'aptitude' and sent me back to Chester with my tail between my legs. In the event, that rejection proved to be a blessing in disguise because, had I passed, I may not have been able to spend the final year of my military service sunning myself on a tropical desert island in the south Pacific. A minor drawback (some might say), however, was that a condition of going there was that it involved participating in the British nuclear testing programme. After a lengthy selection process and along with twelve others, I was chosen to be a coxswain of an amphibious DUKW and the photo shown above was taken during our amphibious craft training course on a very cold day in north Devon. 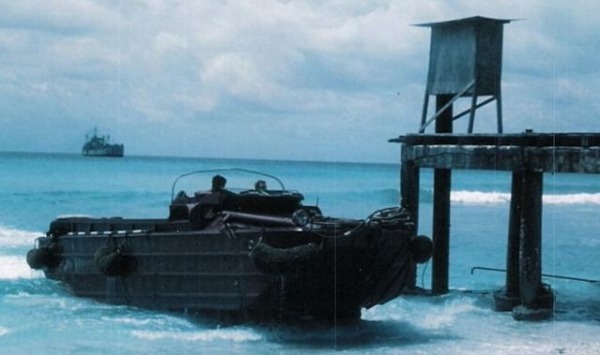 In addition to being extensively trained on the DUKWs, we were also given the opportunity to handle some amphibious tracked vehicles (similar to the one shown below) on land and at sea. 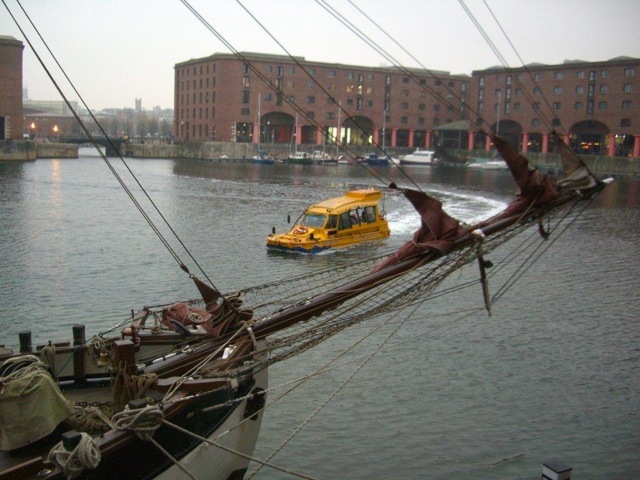 Although we didn't become as familiar with them as we were with DUKWs, we did enough to get the hang of the controls. So far as I can remember, they consisted of two levers - like those seen on mobile cranes and JCB plant machinery. Pull the right-hand one to turn right and the left on to go left - and so on. I'm afraid, I can't recall what the foot controls were. 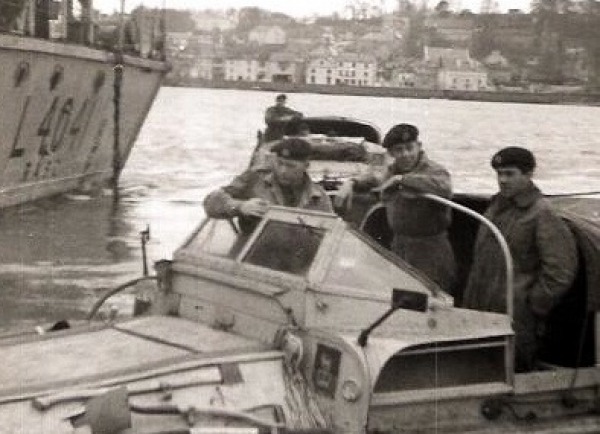 A lot of our amphibious training was done in and around Bideford harbour (above) and, also, at a stretch of beach called Westward Ho. 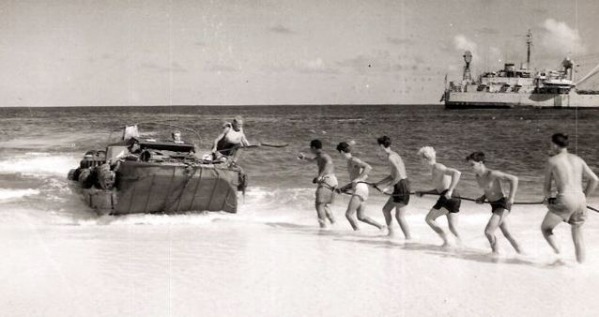 The army had it's own (little) navy, in those days. 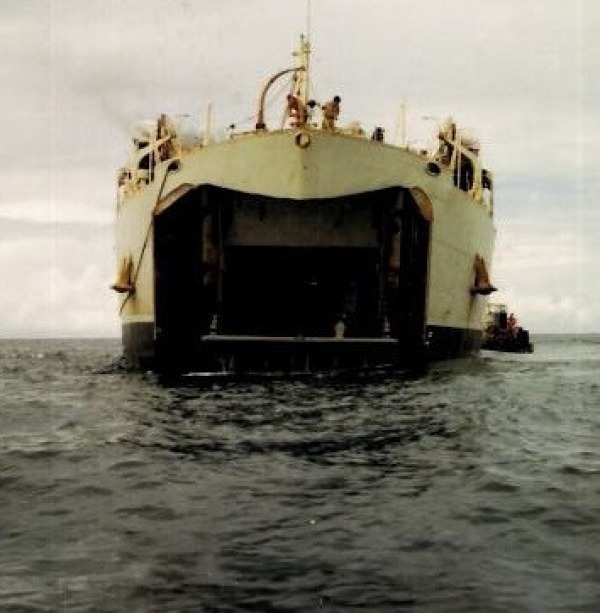 It was operated by RASC Water Transport companies and the vessel in the background belongs to their amphibious training unit at Fremington. Last weekend in the UK. 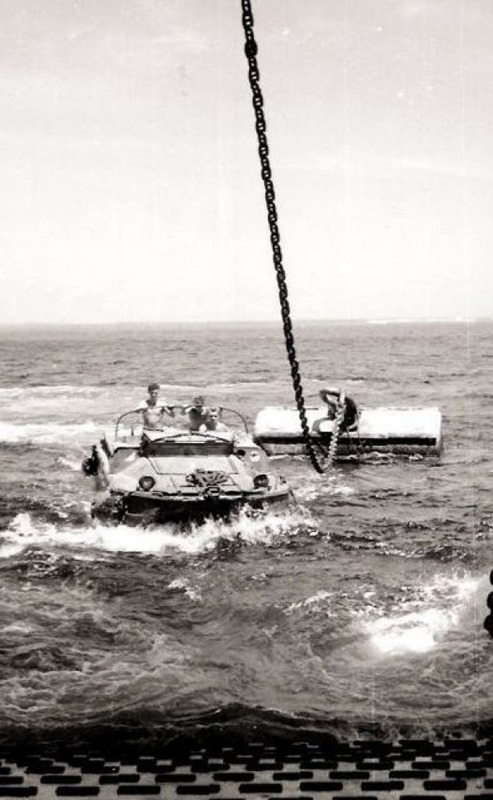 When we had completed our amphibious training, we had a spell of disembarkation leave - followed by about a week receiving an assortment of injections and being kitted out with tropical gear and equipment at the RASC Dept Camp in Hampshire. Later, on the weekend before our flight to The Pacific, three of us set out towards Aldershot for a final Saturday afternoon and evening in the UK. On the way, from the top of a double-decker bus, I caught sight of a small garage which had a Ford Popular for hire. Fortunately, Barry had a savings account; so, we jumped off the bus, found a Post Office, and persuaded him to withdraw sufficient funds to cover the cost of the hire - which (so far as I can recall) was about a fiver for the weekend. Heading north, we realised it was too far to contemplate going as far as Geordie's home in the north-east; so I invited him to my home in the north-west. Barry lived near Birmingham and we dropped him off on the way. We returned to Depot Camp very late on Sunday night before heading to Heathrow airport on the following morning. En route to Christmas Island. 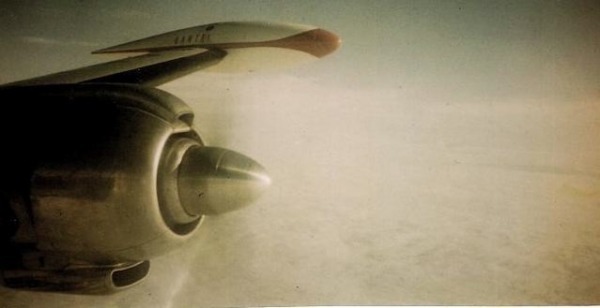 We left the UK in March, 1958, and during the first leg of the journey (from London to San Francisco), our QANTAS, Lockheed Super Constellation stopped (presumably to refuel) in Ireland, Greenland, Newfoundland and New York. This, by the way, was the first colour photograph I had ever taken and, in more recent times, is what I use as what I believe is called the Wallpaper for my computer screen. For the second leg of our journey (from San Francisco to Honolulu) we flew in a United Airlines, Douglas DC7. We had been sent out from the UK in small groups and since I was in the first group, I was obliged to wait almost a week at a US Air Force base until everyone else had arrived. I was brave, though, and didn't complain. The building above is the PX (the US equivalent of the British Naafi) at the air base. By our standards, it was unimaginably luxurious. 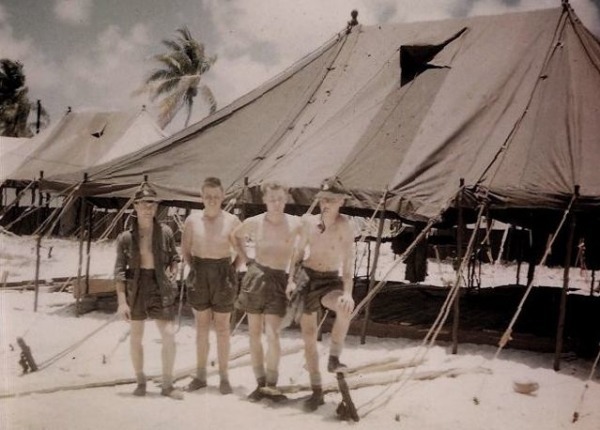 We completed the journey to Christmas Island in an RAF Hastings aircraft and when we arrived (you can tell we were new because we were white a sheets), we had to erect the damned thing before we could sleep in it. I'm on the right with (left to right) Spud Murphy, Jim Thompson and Barry Hands. Twice a year, a group of high-ranking RAF officers, in a Hastings aircraft, undertook an inspection tour of their bases around the world. 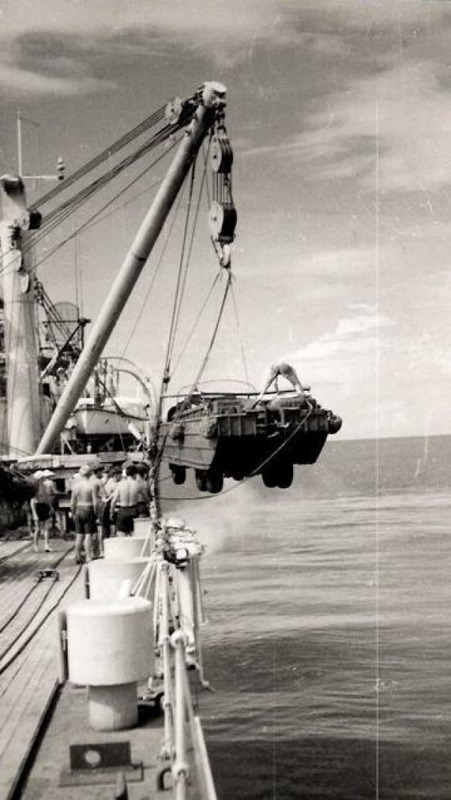 When it left Christmas Island, there were some vacant seats and those interested were invited to apply for the opportunity of completing what amounted to a round-the-world-trip (bearing in mind it returned via Fiji, Australia, Singapore, Ceylon, Aden, North Africa and Malta). It did mean having to stay on the island for a couple of weeks longer that everyone else - but, it was well worth the wait. The photo shown below was taken when we stopped off at Adelaide. I'm in the middle of the front row - along with Spud Murphy (front - right) and John Treherne (rear - left) and three chaps from the Royal Engineers. In 2005, I managed to contact five out of the six lads with whom I shared a tent on the island. Unfortunately, one had died; however, the rest of us met up for an evening at The Union Jack Club in London. Most of us (above L to R - Jim Thompson, John Treherne, Spud Murphy, Ray Chimes, Barry Hands and me) hadn't met each other for almost fifty years. March, 18th. 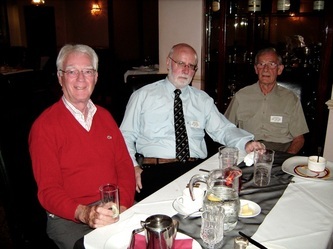 2009 was the fiftieth anniversary of 'our' group of DUKW drivers returning to The UK and, to mark the occasion, we held another reunion at The Union Jack Club. Sadly, on this occasion, two of us were unable to attend (no deaths - just minor issues with ill-health). However, we hope to arrange another get together sometime in the future. Those who did make it are shown above (L to R - Ray, myself, Barry and Spud). The photo was taken during a 'flight' in The London Eye which was followed by a tour of the city in a DUKW. 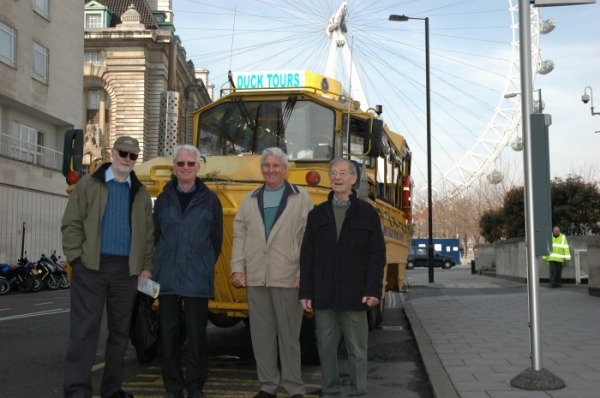 Because we were former DUKW drivers, The London Duck Company very kindly gave us complimentary tickets for the trip (see below). In the afternoon, we visited The Imperial War Museum before returning to The Union Jack Club for dinner. Barry and Ray set off for their respective homes on Thursday morning and Spud and I did the same later in the day - but not until we enjoyed a pleasant couple of hours at The London Transport Museum. 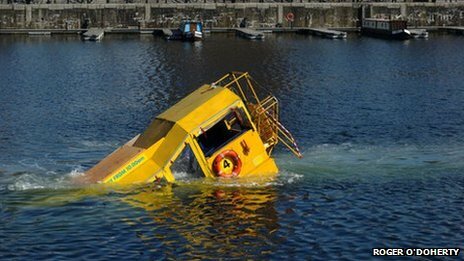 Unlike earlier reunions, this one wasn't specifically for DUKW drivers. 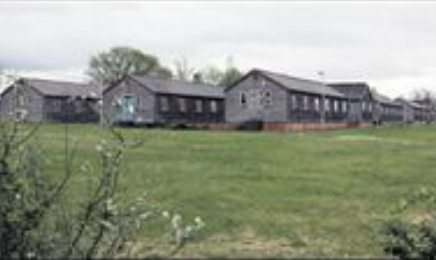 Although I had been involved with The British Test Veterans' Association since its formation in the eighties, by the early nineties - for a variety of reasons - I had become disenchanted with the organisation; so when I heard that a chap called Jim Cooper was exploring the notion of holding less formal gatherings, I attended his first meeting on the south coast. In the event, although the concept appealed to me a great deal and I had actually gone so far as to offer assistance from the point of view of transport (by then I was manager of Guidford Bus Station) my work at that time wasn't really conducive to becoming too involved; so, I didn't attend any more meetings. In the meantime, over the past twenty years, Jim and his wife, Gloria, have organised several two or three-day 'get-togethers' at various locations around the UK and I met up with them, at their home, earlier this year. 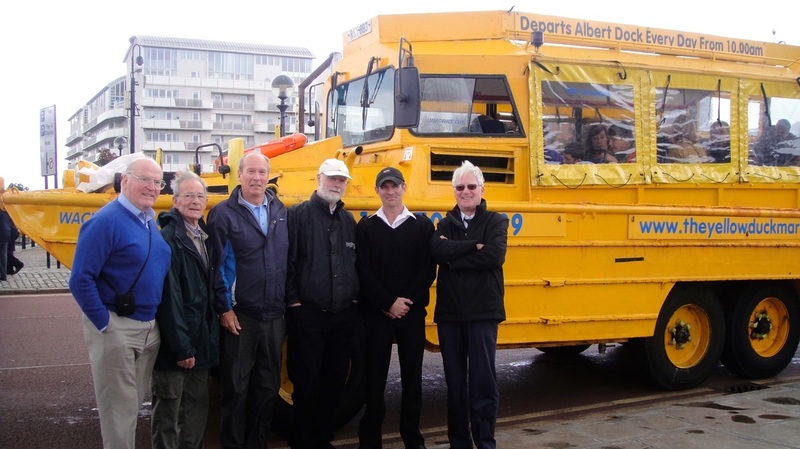 As a consequence, I have since managed to persuade three 'members' of my DUKW Drivers group, to join a couple of hundred other veterans of British nuclear tests (not just those on Christmas Island) for a reunion at The Adelphi Hotel in central Liverpool. A more detailed account can be found in the Blog section of this web-site, later. However, for the time being here are some photos (below - click to enlarge). 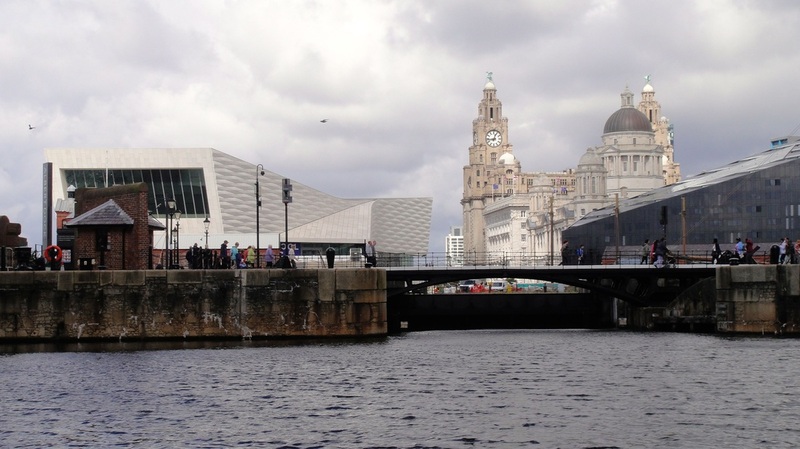 Not surprisingly, the Liverpool DUKW tour featured in our itinerary and we're extremely grateful for the complimentary tickets they gave us. 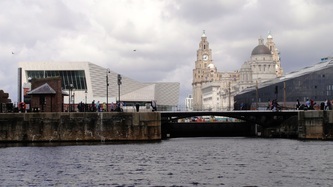 Sadly, a similar - but rather more serious - sinking occurred again. Here is a link to an account of the event (including a video).